Your partners in premium pet products. At Bimini Pet Health, we’re committed to providing private label and custom manufactured pet supplements to help support and maintain healthy pets. 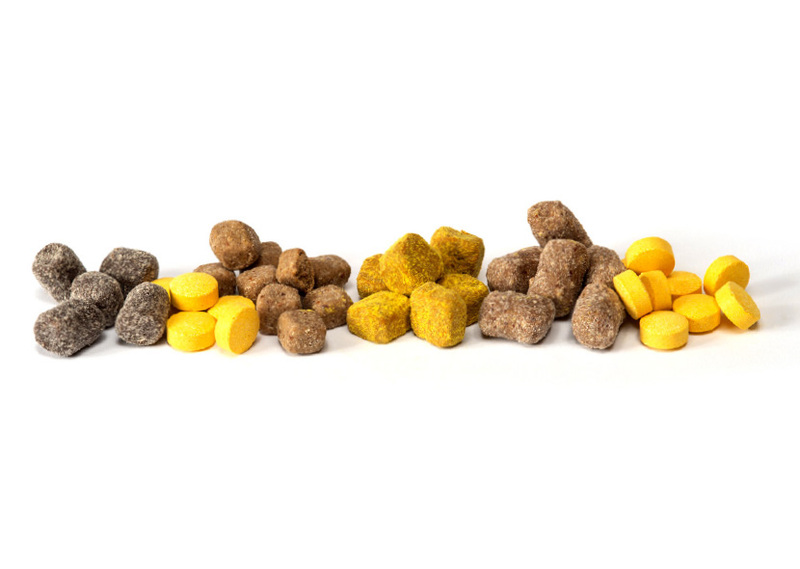 We make high quality, unique products for dogs, cats and horses in the form of soft chews, chewable tablets, powders, oils and liquids. Our products can be customized to be sold in your own store, online through your website or sites such as Amazon, or in your veterinary clinic. You can choose from dozens of existing formulations for private label, or we can help you make custom pet health supplements. If you’re ready to start today, let’s talk. We’re dedicated to providing industry-leading products and services using ingredients sourced and procured in the U.S.A. Our low run volumes for private label pet supplements are perfect for clients of any size. We also offer custom manufacturing of your own formulations from scratch in any of our product types.